Howard Primary is a diverse and vibrant school community of children from many different ethnic backgrounds and we feel it is important to take pride in this and celebrate this diversity. 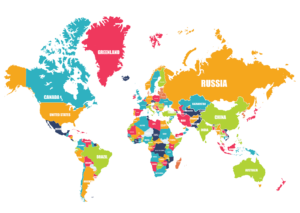 Currently, out of all pupils at our school, we speak a total of over 45 different languages! This amazing diversity means that we can often offer children arriving from overseas a friend who can communicate with them and help them to settle into school life. 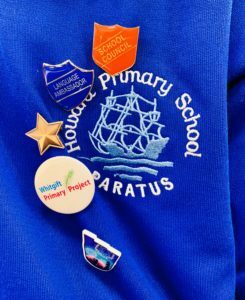 Since 2016, Language Ambassadors have formed an integral part of the everyday lives of many pupils at Howard School. Each year, children who demonstrate the right qualities, and who speak more than one language fluently, are selected to provide help and support to new pupils who arrive at Howard with difficulties in speaking English. Many of the children who are now Language Ambassadors arrived to our school speaking little to no English themselves and, as a result, are uniquely placed to provide support, guidance and reassurance to new pupils who may be feeling scared, lonely or confused about the every-day school routines that most other pupils take for granted. Aside from helping those children who need help to communicate, our Language Ambassador System allows us to promote pupil voice within school, giving children the opportunity to have their say and contribute to their wider school community. We have found over the years that it has helped our children grow in confidence and feel proud of their own culture, heritage and language. 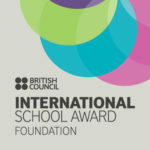 In part, due to our amazing Language Ambassadors, as well as other international initiatives and experiences developed in school, Howard Primary was awarded an International School Award from the British Council in the 2017-2018 academic year. "It's important to make people feel happier if they can't speak English." "It helps you to learn how to feel more responsible and confident." "I take the job of being a Language Ambassador really seriously."